Everything from phones to televisions are getting the prefix ‘smart’ added to their names, and our homes are the next in line to get an upgrade. Imagine being able to control the lights of your apartment via your smartphone, or tracking your calories based on the amount and type of waste you produce. These were among some of the winning solutions of HackOMania 2018, a hackathon that brought together students and tech professionals to brainstorm and prototype ideas based on the theme ‘Creating Smart Homes’. The maker’s challenge, held on 24 February 2018, was an initiative by GeeksHacking, a group of software developers, user experience designers, computer engineers and technopreneurs passionate about using technology. Participants could choose to compete in three tracks: the ‘SGInnovate Deep Tech’ challenge, which required the use of machine learning and artificial intelligence; the ‘Internet of Things (IoT) for Smart Homes’ challenge, which called upon participants to transform everyday objects by pairing them with connectivity and data capabilities; and the ‘Smart Homes for the Elderly’ challenge, which welcomed inventions for an ageing population. With the advent of new technologies, their integration into existing structures and devices can be a problem. For instance, to control lights remotely, the electrical wiring and wall switches for the lights may have to be re-installed, which can be a messy and costly process. The hassle to replace pre-existing control mechanisms may thus be a deterrent to the adoption of new technologies. Hence, the winning team of HackOMania—Lumos—built a device that can be conveniently mounted onto a normal light switch. In response to a Bluetooth signal from a mobile phone, the device will flick the light switch on or off. The accompanying mobile app was also custom-built by the team. “The advantage of having an externally mounted switch is that it can be used to control other appliances as well. For example, it could be used to turn on the coffee machine when your alarm sounds so that you can have a ready-made cup of coffee waiting for you once you enter the kitchen,” explained Mr Yao Yi Heng. He added that existing smart switches in the market can be “rather pricey”, so he hopes that his team’s device, which was built from inexpensive and easily obtainable components, will make the technology affordable to the masses. 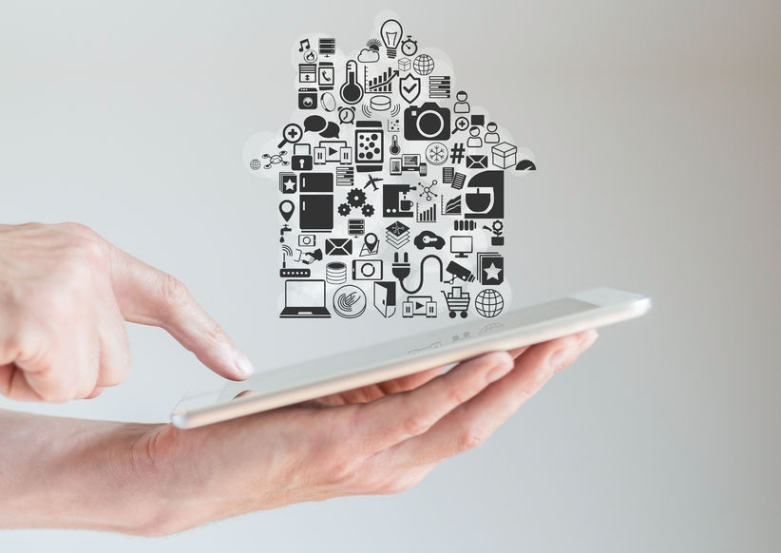 While remote control switches and IoT-enabled home appliances make life more convenient, their connection to wireless networks means that they may be vulnerable to hacking. A recent report by information technology company Hewlett-Packard found that 70 percent of commonly used IoT devices contain vulnerabilities, including password security and encryption issues. An additional problem is that existing security technologies are mainly designed for security professionals. This means that the layman users of smart home devices have considerably less knowledge of how to properly configure cybersecurity measures in their gadgets. The runner-up team, Protego, sought to address this problem by creating a user-friendly cybersecurity scanner for IoT devices. The scanner leverages near-field communications between IoT-enabled devices and a mobile phone. Once paired, users can initiate a cybersecurity scan with a mobile app, which had a simple layout and displayed basic instructions. “I think people are thrown off by the complex jargon often used in cybersecurity applications. Most of the time, all they want to know is whether they are protected or not. With our invention, we can make IoT security more accessible and easier to understand,” said Ms Ong Yu Jing, the user interface designer of the team. In addition to smart switches and simplified cybersecurity apps, an intelligent trash bin—called TrashIt—was built during the competition, bagging its inventors the third prize. Beneath the bin’s humble cardboard-and-tape exterior was a sophisticated waste sorting platform, equipped with a camera that sends images to the Google Cloud Vision API for analysis. This helps the bin decide which of two compartments the trash gets deposited into. TrashIt’s analysis platform also comes equipped with a calorie counter to estimate caloric intake from images of food. This could help nudge individuals towards healthier diets and lifestyles. Users can input age, height and weight details of their family members to get a recommendation of the dietary requirements each member needs. They can then calibrate their grocery shopping accordingly. Clearly, smart and secure gadgets not only create smart homes, but also help people live smarter, healthier lives.